Add personal flair to your home with the DC3050 – our full-featured performer for creating any kind of home decor or sewing project. Its computerized precision makes sewing curtains, slipcovers, comforters, custom pillows, or other decor projects a breeze. Choosing and configuring stitches is easy with the large LED display. 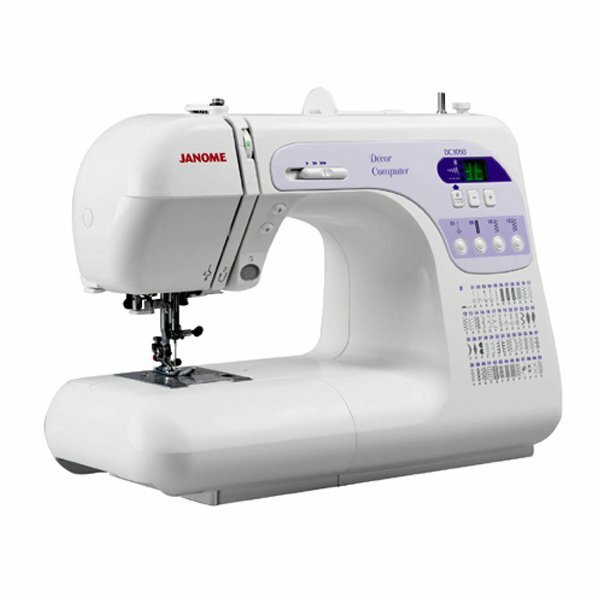 The DC3050 is a computerized machine that gives you Janome quality results at a great price.